As the demands of documentation continue to grow and the way of providing care increasingly shifts towards becoming more digital the amount of data available also increases. This evolution contributes towards the shaping of future care homes across the UK. As long as the structure is in place, this digital renovation has enormous potential. 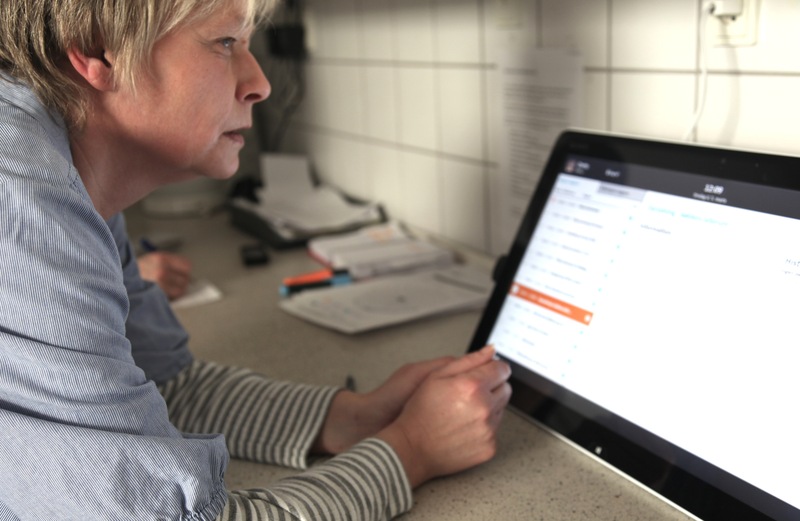 In particular, data can support the staff on the floor in their jobs by providing guidance and a bird’s eye view, in a scenario where documentation and data collection are an integrated part of the care delivery. So what areas stand to benefit significantly from a lift in quality and efficiency? This is the topic of this article. A data-enriched setup is suitable for businesses that aim to strategically utilise the vast amounts of data available in their organisation. Continuously across the business’s micro-levels a huge amount of data is collected through the daily interactions between staff and residents. This data can be used for analysis on a macro-level in order to gain insights. Dashboards across residents, staff, departments, organisations are part of such a solution. In a care home with 40 residents, an average of 700 registrations, care notes etc. are made- every day. In a year, that amounts to several touch points between carers and each individual resident. Spread across 5 care homes in a care group the total amount of touch point’s amount to just under 1.3 million! So the question is, what can we do with this wealth of information? In Sekoia, we have already experienced how predictability and a cross-functional view of the organisation have contributed to more value. For instance, if we can foresee that 4% of activities will be cancelled or moved, we can track this locally and adjust the staffing levels accordingly. Not only scheduling but also rehabilitation and care plans can be adjusted to provide better care for the residents. Data serves the purpose of visualising what and when care delivery was planned and what in fact ended up happening. This information can be condensed into an overview that can improve any future planning. Maybe what is needed is a change in the number of staff? Physio visits on Thursdays instead of Wednesdays? What about medication administration? It’s also relevant in terms of preparing the most efficient rostering. When it becomes possible to compare the planning with the actual workload, data can contribute meaningfully to the dialogue around such topics. When a resident moves into a care home, a number of goals and guidelines are established as to how the resident should receive care, and what level of care is needed for the resident. These goals are expressed in different care plans that are followed by the establishment and documented in the best way possible. In a digital version, it is then quicker and easier to follow up on agreed plans and keep in accordance with compliance and auditing authorities such as the CQC. A question to ask yourself is; are we as on organisation on our way to accomplishing the goals we have set? When your entire professional practice is continually analysed it is easier to move from the subjective to the more objective. Why do we act as we do? Here, managers and staff can come together with shared visions and use these to make informed decisions based on facts rather than perception. Here data helps to create a more objective ground for decision-making that promotes a sense of quality and minimises the potential errors made, due to lack of information. Next Article With so many choices on the market today for various methods of staff management, it’s difficult to choose what’s right!